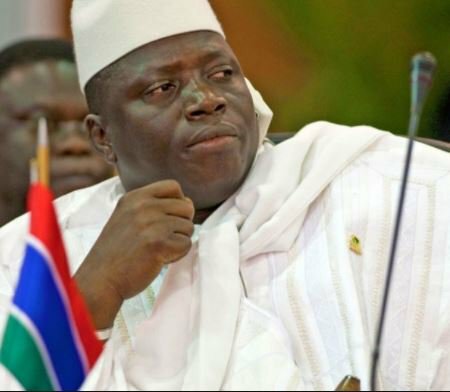 The US has sanctioned former Gambian President Yahya Jammeh, who is accused of looting at least $50m (£37m) of state funds before leaving office last January. He only agreed to leave power after losing elections following pressure from West African mediators who sent troops in the country to force his hand and he's now living in exile in Equatorial Guinea. A US Treasury statement said that during his 22 years in power he had a “history of engaging in serious human rights abuses and corruption”. Jammeh is among a host of world figures blacklisted by the President Donald Trump’s administration, including a business associate of Congolese President Joseph Kabila and an aide to South Sudan’s leader Salva Kiir. US Treasury Secretary Steven Mnuchin explained the new policy, saying the US wanted to take "a strong stand against human rights abuse and corruption globally by shutting these bad actors out of the US financial system.